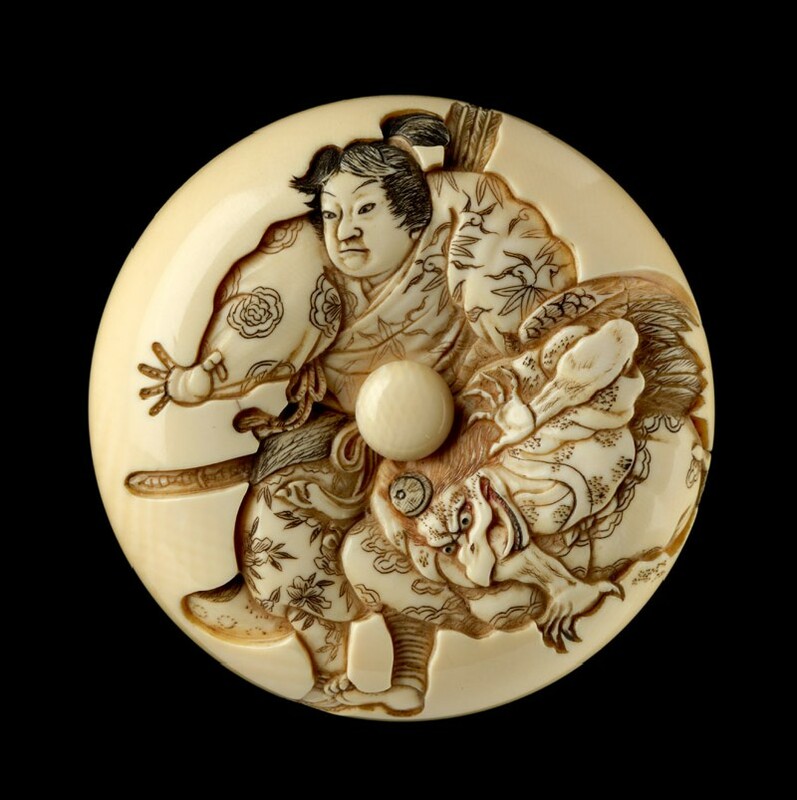 The netsuke is a form of toggle that was used to secure personal items suspended on cords from the kimono sash. These items included purses, medicine cases or tobacco paraphernalia. The manjū netsuke takes its name from a round, sweet, bean paste-filled bun. The front and back of the manjū offer the maker two surfaces on which to create illustrations by carving, chiselling and drilling the base material. A greater dynamism can often be achieved on these flatter surfaces than with three-dimensional carving. 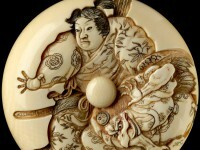 Ivory was used for most of these manjū, which were made during the 19th century. 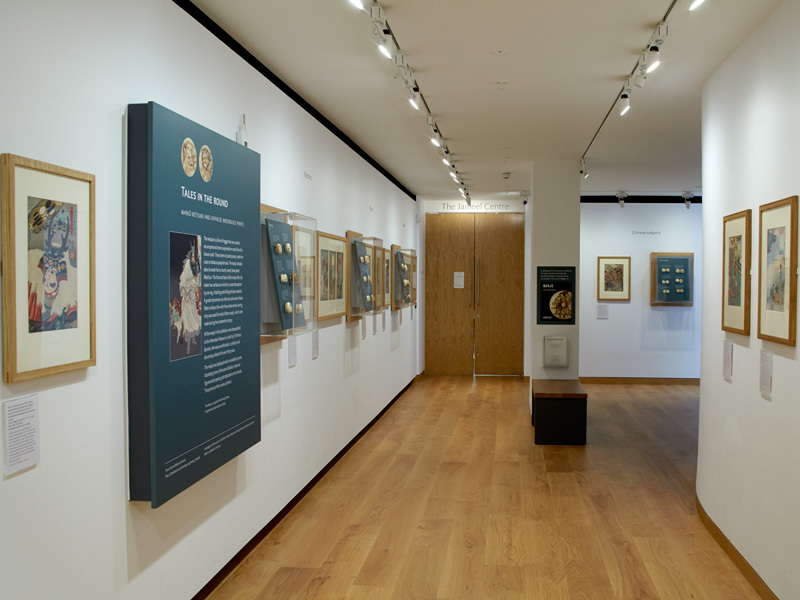 All the manjū in this exhibition were bequeathed to the Ashmolean Museum in 2001 by Dr Monica Barnett, who was an enthusiastic, scholarly and discerning collector for over 30 years. 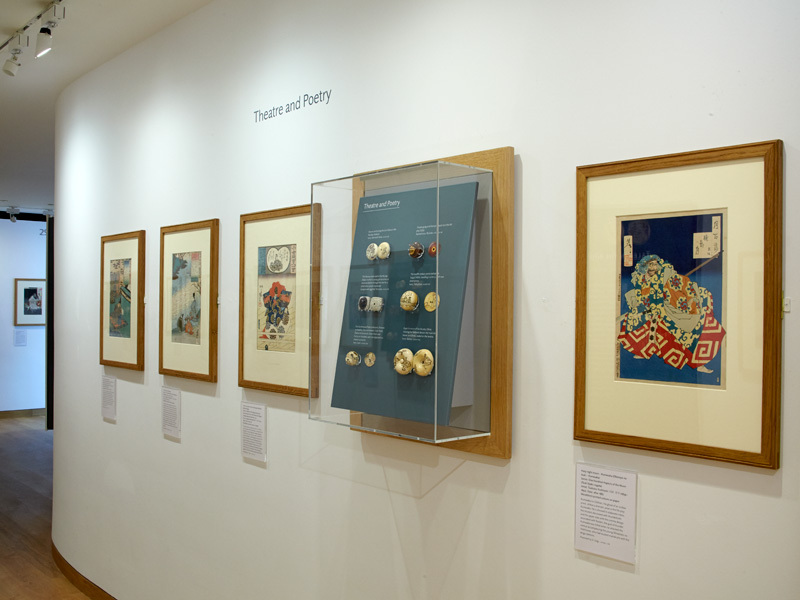 The manjū are displayed next to woodblock prints illustrating some of the same folktales, historical figures and popular gods depicted on the netsuke. The prints are from various donors. 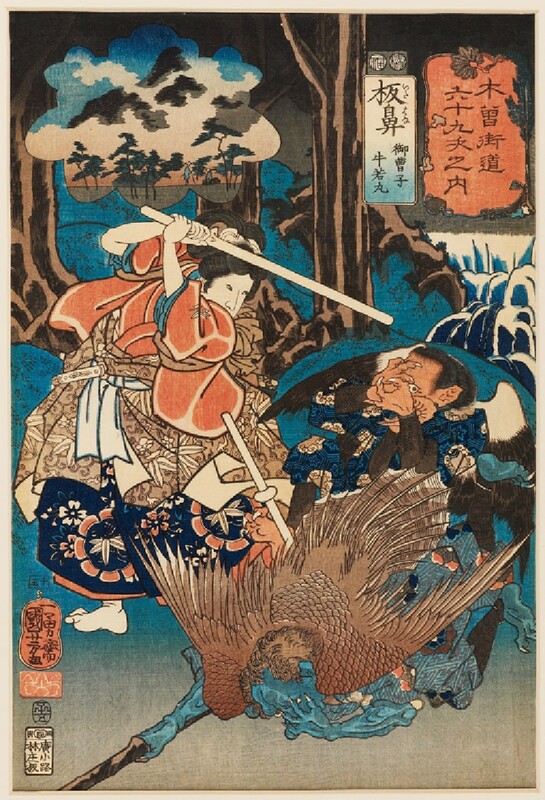 Eastern Art Online presents an online version of the exhibition Tales in the Round on display in the Ashmolean’s Eastern Art Paintings gallery. It enables visitors to browse and search all exhibition objects and their high-quality zoomable images. A fully illustrated catalogue of the museum’s collection of manjū netsuke, describing the stories they depict in greater detail, is available to purchase from the Ashmolean shop, or online here. Eastern Art Paintings Gallery - Tales in the Round exhibition east wall. 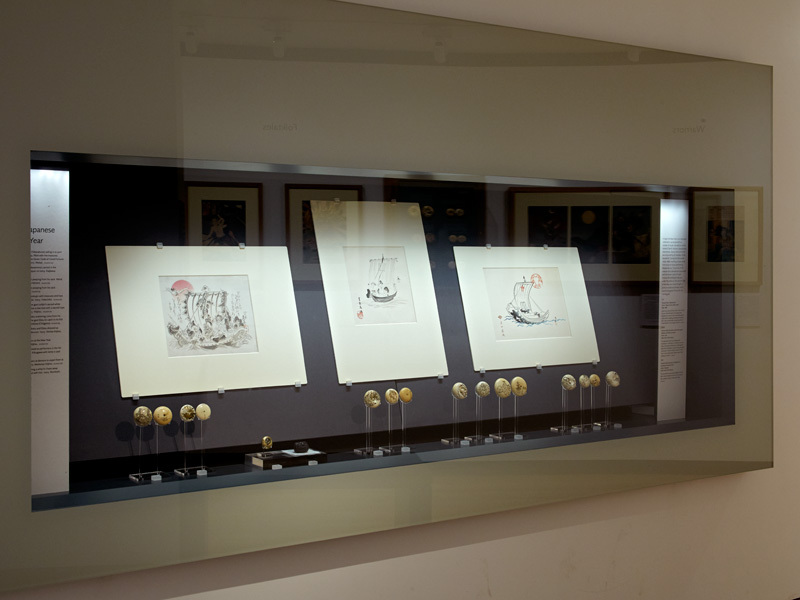 Eastern Art Paintings Gallery - Tales in the Round exhibition case. Eastern Art Paintings Gallery - Tales in the Round exhibition west wall.